Thesis Abstract: The existence of a quasi-deSitter expansion in the early universe, known as inflation, generates the seeds of large-scale structures and is one of the foundations of the standard cosmological model. The main observational predictions of inflation include the existence of a nearly scale-invariant primordial power spectrum that is imprinted on the cosmic microwave background (CMB), that has been corroborated with remarkable precision in recent years. Generalizations of the vanilla single-field slow-roll inflation provide a wealth of observational signatures in the power spectrum and the non-Gaussianity of fluctuations of the CMB, and this motivates a technique that can evaluate predictions of inflation beyond the slow-roll approximation called the generalized slow-roll (GSR). I will describe the latest searches for signatures of slow-roll violations in the Planck data using the GSR formalism, which is an ideal framework to probe inflationary models in this regime. 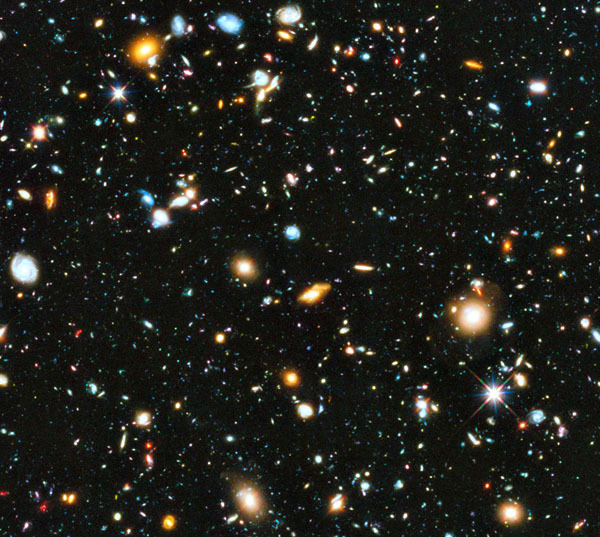 "To constrain cosmology, and in particular to probe dark energy, from deep optical imaging surveys such as the Dark Energy Survey (DES), requires precise estimates of the redshifts of the distant galaxies they observe. Traditionally, these redshift estimates are made using galaxy colors, but this technique has known limitations and biases. Jennifer's thesis work involved the testing and implementation of a novel technique for estimating redshifts of galaxies, using the fact that they cluster in space with galaxies for which the redshifts may be known from spectroscopic measurements. Using simulations, Jen found that this "clustering redshift" technique accurately reconstructs the galaxy redshift distribution for a survey such as DES. She then applied this technique to determine the redshift distribution for several million galaxies in the first year of DES data, an important result that should prove extremely valuable for the cosmological analysis of these data." 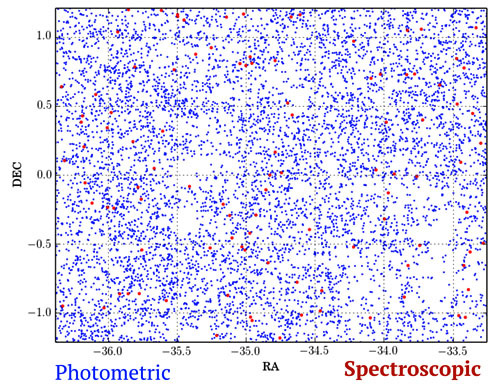 Thesis Abstract: Accurate determination of photometric redshifts and their errors is critical for large scale structure and weak lensing studies for constraining cosmology from deep, wide imaging surveys. Current photometric redshift methods suffer from bias and scatter due to incomplete training sets. Exploiting the clustering between a sample of galaxies for which we have spectroscopic redshifts and a sample of galaxies for which the redshifts are unknown can allow us to reconstruct the true redshift distribution of the unknown sample. Here we use this method in both simulations and early data from the Dark Energy Survey (DES) to determine the true redshift distributions of galaxies in photometric redshift bins. We find that cross-correlating with the spectroscopic samples currently used for training provides reliable estimates of the true redshift distribution in a photometric redshift bin. We discuss the use of the cross-correlation method in validating template- or learning-based approaches to redshift estimation and its future use in Stage IV surveys. 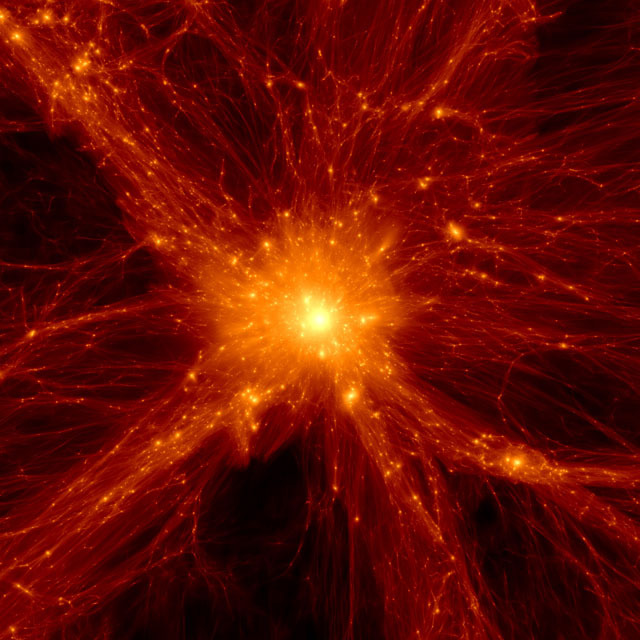 "In his PhD thesis Benedikt Diemer has shown that radial density profiles of dark matter halos cannot be characterized only as a function of halo mass, as was thought previously, but also depend on the mass accretion rate of halos. The work has resulted in a new model that accurately describes halo profiles in simulations from small radii out to 10 virial radii. Likewise, Benedikt has shown that halo concentrations depend not only on the halo mass (or more precisely on halo peak height), but also on the local slope of the power spectrum. Overall, this thesis showed that previously believed "universality" of the halo profiles is limited. Beyond just criticizing previous models, new models were developed that take into account the extra dependencies of halo profile parameters on the mass accretion rate and power law slope." Thesis Abstract: We present a systematic study of the density profiles of dark matter halos in LCDM cosmologies, focusing on the question whether these profiles are "universal", i.e., whether they follow the same functional form regardless of halo mass, redshift, cosmology, and other parameters. The inner profile can be described as a function of mass and concentration, and we thus begin by investigating the universality of the concentration-mass relation. We propose a universal model in which concentration is a function only of a halo's peak height and the local slope of the matter power spectrum. This model matches the concentrations in LCDM and scale-free simulations, correctly extrapolates over 16 orders of magnitude in halo mass, and differs significantly from all previously proposed models at high masses and redshifts. Testing the universality of the outer regions, we find that the profiles are remarkably universal across redshift when radii are rescaled by R200m, whereas the inner profiles are most universal in units of R200c, highlighting that universality may depend upon the definition of the halo boundary. Furthermore, we discover that the profiles exhibit significant deviations from the supposedly universal analytic formulae previously suggested in the literature, such as the NFW and Einasto forms. In particular, the logarithmic slope of the profiles of massive or rapidly accreting halos steepens more sharply than predicted around ~R200m, where the steepness increases with increasing peak height or mass accretion rate. We propose a new, accurate fitting formula that takes these dependencies into account. Finally, we demonstrate that the profile steepening corresponds to the caustic at the apocenter of infalling matter on its first orbit. We call the location of the caustic the splashback radius, Rsp, and propose this radius as a new, physically motivated definition of the halo boundary. We discuss potential observational signatures of Rsp that would allow us to estimate the mass accretion rate of halos. Ph.D. Committee members: Paolo Privitera, Scott Wakely, Scott Dodelson. Thesis Abstract: The workings of the most energetic astrophysical accelerators in the Universe are encoded in the origin of ultrahigh energy cosmic rays (UHECRs). Current observations by the Auger Observatory, the largest UHECR observatory, show a spectrum that agrees with an extragalactic origin, as well as an interesting transition in chemical composition from light element to heavier element as energy increases. Candidate sources range from young neutron stars to gamma-ray bursts and events in active galaxies. In this talk, I will discuss newborn pulsars as the sources of ultrahigh energy cosmic rays. I will show that a newborn pulsar model naturally injects heavier elements and can fit the observed spectrum once propagation in the supernova remnant is taken into account. With the proper injection abundances, integrated cosmic rays from the extragalactic pulsar population can match observation in all aspects - energy spectrum, chemical composition, and anisotropy. I will then examine the fingerprints of their Galactic counterparts on cosmic ray spectrum. 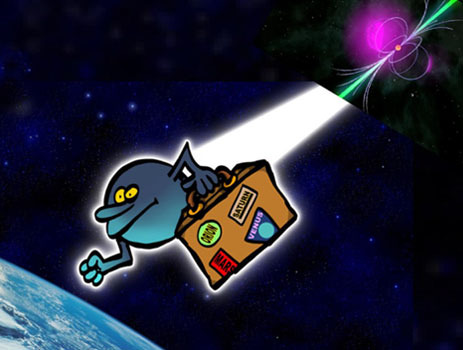 Furthermore, I will consider the multi-messenger smoking gun of this scenario - the detectability of high energy neutrinos from pulsars in the Local Universe. "Dr. Louis Abramson is an expert on the observation and phenomenological modeling of galaxy evolution, with a particular focus on the relationship between bulk statistical observables of galaxies, such as the distributions of star-formation-rate and mass over cosmic time, and the star formation histories of galaxies. 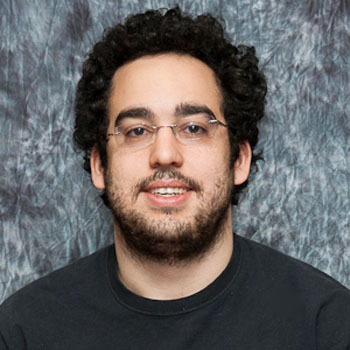 His work during his Ph.D. has led to several new insights into the relationship between the passive (i.e., bulges) and actively star-forming components of galaxies, and led to a clear understanding that the scatter of galaxies across the so-called 'star forming main-sequence' is a critical observable to consider in further analyses, which he will continue as a postdoc at UCLA." Thesis Abstract: Galaxy star formation histories (SFHs) form a central thread of the cosmological narrative. Understanding them is therefore a central mission of the study of galaxy evolution. Although an ever-better picture is emerging of the build-up of the stellar mass of the *average* galaxy over time, the relevance of this track to the growth of *individual* galaxies is unclear. Largely, this ambiguity is due to the availability of only loose, ensemble-level constraints at any redshift appreciably greater than zero. In this talk, I outline how one of these constraints -- the the star formation rate/stellar mass relation -- shapes empirically based SFH models, especially in terms of the *diversity* of paths leading to a given end-state. I show that two models propose very different answers to this question -- galaxies grow *together* vs. galaxies grow *apart* -- corresponding (largely) to two different interpretations of the scatter in instantaneous galaxy growth rates at fixed stellar mass -- unimportant vs. essential. I describe how these interpretations affect one's stance on the profundity of galaxy "bimodality," the role of quenching mechanisms, and the influence of environment on galaxy evolution. Finally, after endorsing one of the models, I present some predictions that --- given upcoming observations --- should have the power to prove me right or wrong.